We like to think that no one out there is completely bad, not even the devil himself. He's actually got a decent light side to him. We ran into him on the street, and hit it off right away with him (we're not sure what that says about our character). 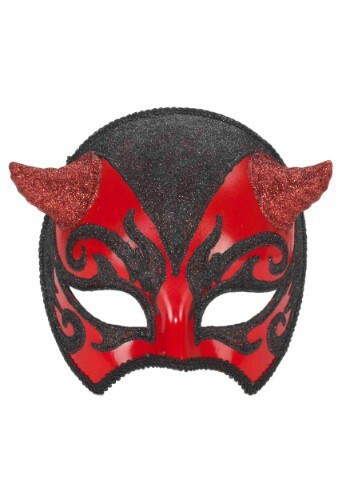 It turns out that he had this sweet masquerade party going on at his place, so he invited us all to attend. Of course we were a little nervous about accepting since it was Satan, but we're suckers for costume parties, so we accepted anyway. We arrived bedecked in our own awesome costumes to a totally killer party! 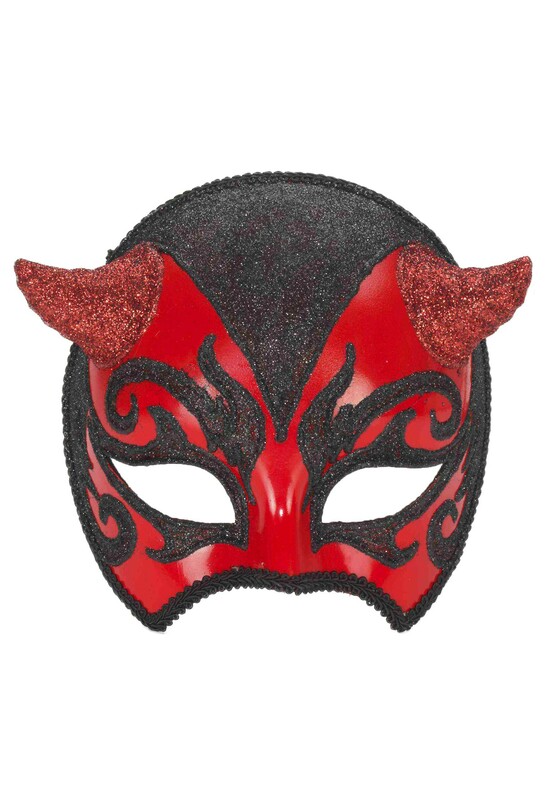 As it turns out, the head honcho demon is totally into glitter! Everything at the party sparkled like multi-colored diamonds. When the host came out to greet us he was all classy with this sweet mask of himself! It showed off his mean streak for sure but also that flamboyant side of the king of hell that we'd come to love so well.